Bruce “Smoky” Everett Alexander, the son of Joseph Edward and Dora (Buttrich) Alexander, was born on June 20, 1934, Fort Dodge, Iowa. He was raised and educated in Lake City. He served in the United States Army, 737th Missile Battalion Battery 3, from January 23, 1957 until his honorable discharge on January 22, 1959. Bruce was united in marriage with Teresa Bush on December 3, 1956, in Fort Dodge, Iowa. The couple made their home in Fort Dodge, Russellville, AR and Goldfield and to this union, six children were born. Smoky was an over the road truck driver for 60 plus years, retiring from O’Berg Freight in 2016. He was a member of Sacred Heart Catholic Church in Eagle Grove. 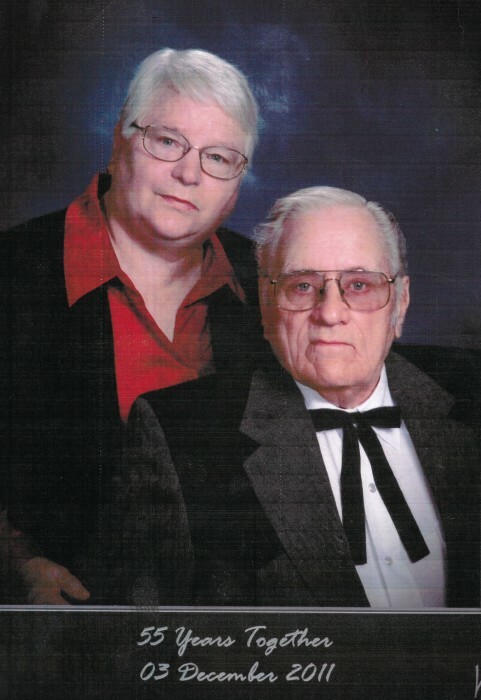 Smoky enjoyed his years of trucking, having coffee with friends and time with his kids, grandkids and great-grandkids. He adorably tolerated his wife Teresa for 62 years, but he was gone a lot! Bruce passed away on Monday, November 26, 2018, at the age of 84 years. He was preceded in death by his parents, Ed and Dora; brothers, Jim, Bub and Bill Alexander; son-in-law, Paul Benton and daughter-in-law, Lorri Alexander. Bruce is survived by his wife, Teresa Alexander of Goldfield; sons, Brian Alexander of Laurens, Bryce Alexander of Ft. Dodge, Brad Alexander (Julie) of Ft. Dodge, Bruce W. Alexander of Ft. Dodge and Bret Alexander of Ft. Dodge; daughter, Brenda Benton-Schorr (Chad) of Ft. Dodge; 18 grandchildren and 22 great-grandchildren. Mass of Christian Burial will be held at 10:30 a.m., on Friday, November 30, 2018, at Sacred Heart Catholic Church. Visitation is Thursday, from 5 to 8 p.m. with a Rosary service at 4:30 pm at Foust Funeral Home in Eagle Grove.